JumpStart is a special intensive, hands-on coaching and training program for serious entrepreneurs who require rapid advancement with their online marketing and advertising skills. Utilizing both individual and small group settings. students will master the use of the Facebook ad platform, and other related technologies. JumpStart will bring entrepreneurs to a high level of independence and proficiency in their marketing and lead generation efforts in a very short period of time. By the end of the program, students will have a good understanding of online marketing, have a working sales funnel, and be able to generate ads, leads, and sales to grow their respective businesses. Tuition for the program is $3,997. During the course, students will be expected to spend a minimum $500 in advertising, to ensure proper campaign testing and metrics. 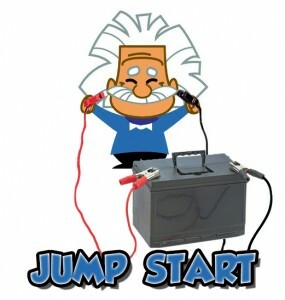 JumpStart lasts for 6 weeks, including group classes, homework, live Q&A, and follow up. Hands On Training – Employing the latest strategies used by the team of experts at Black Box Social Media. Special Mastermind Group – “Front of the line” support. 6 Live Weekly Coaching Sessions – Small group setting for personalized attention. 6 Live Weekly Reviews – Critique and Q&A – Rapidly guiding the student towards profitability. Homework Assignments – Designed to get the student focused on one strategy at a time. 1-on-1 Wrap Up Call – Gives the student clear direction to scale their business. 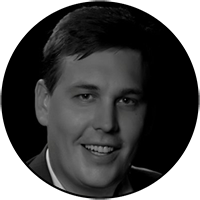 Curt is a Co-Founder of Black Box Social Media and co-creator of Social Media Ad Genius. He has developed multiple social media marketing strategies that are designed to generate more leads and close more sales in today’s tough economic climate. 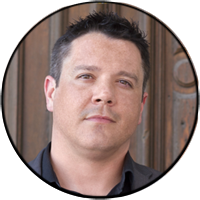 Curt is a highly sought after event speaker for his social media marketing expertise as well as a social media marketing and paid marketing consultant for many businesses and top internet marketers. Jeff Schechter, or “Shecky” as his friends call him, is a successful author, coach, and internet marketer. With an extensive background in business development, Shecky is a consultant to many businesses looking to improve their online presence. As an expert in Online Branding and Identity, Shecky has become one of our top coaches, and now oversees our JumpStart program. As an instructor, he brings a non-traditional, creative and energetic approach to his teachings. Tom is a Co-Founder and the CEO of Black Box Social Media. He has extensive experience in running profitable ad campaigns for live events and brings a unique perspective to Facebook PPC. He is also the author of ‘The Real Estate Millionaire Blueprint,’ Co-Author of ‘Marketing Miracles’ (with Dan Kennedy), and Co-Author of ‘Long Term Greedy’, (along with David Buttross). Zach is the C.O.O. for Black Box Social Media and oversees the everyday operations of the agency for Black Box. Zach works with dozens of 7 and 8 figure clients running hundreds of thousands of dollars each month in ad spend. Nick is a Co-Founder of Black Box Social Media and Co-Creator of Social Media Ad Genius. He has been working in the online marketing space for the past 10 years. Nick is the in-house marketing funnel and automation expert as well as the lead designer and ‘tech guy’ for the company. He has created dozens of online sales funnels in multiple niches for both Black Box and their numerous clients. Janet is the Training Coordinator for JumpStart and handles all of the logistics for the live events and recordings. “I’m writing this letter as a business reference for Black Box Social Media who I have had the pleasure of knowing and engaging their services for nearly a year now.